In my hormone-balance work with menopausal women, I convey the most effective way to relieve symptoms: estrogen, progesterone, and testosterone. Although this course of treatment is controversial in breast cancer, estrogen, progesterone, and testosterone replacement therapy can increase vitality, libido, and bone density while improving heart health. Biologically identical (bio-identical) estrogen, which is derived from plants, has the same molecular structure as the estrogen naturally found in women. Bio-identical estrogen lowers LDL cholesterol, raises HDL (“good”) cholesterol, slows the development of arterial plaque, and has an antioxidant effect on free radicals. Estrogen also helps lower blood pressure. As a functional medicine doctor with a focus on bio-identical hormones, I’m often asked if estrogen causes cancer. Studies show that it does not—the key here, again, is hormone balance. In addition, supplementing estrogen replacement therapy with nutritional support minimizes the risk of breast cancer. 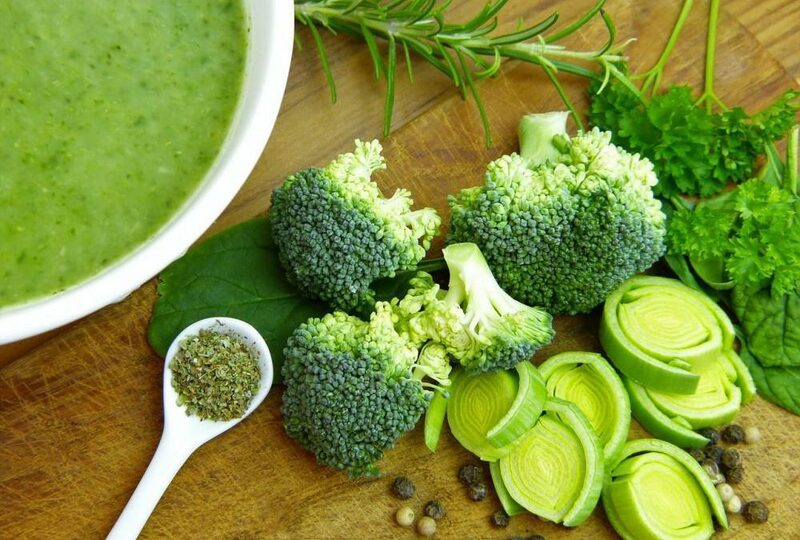 Vegetables in the cruciferous family (e.g., bok choy, broccoli, cabbage, cauliflower, collard greens, kale, turnips, and Brussels sprouts) contain antioxidants. They also contain the chemical compound glucobrassin. Chewing (or chopping) these cruciferous vegetables releases an enzyme that breaks down glucobrassin into a molecule called I3C (Indole-3-Carbinol). I3C is at the heart of nutritional support for estrogen replacement therapy because of its ability to inhibit the development of several kinds of cancer and reduce oxidative stress. Specifically, research has shown that I3C blocks estrogen receptors in breast membranes, reducing the risk of breast cancer. It also helps keep the estrogen in balance so that there aren’t tremendous increases or decreases in hormone levels. Two I3Cs bound together comprise the compound DIM, which is absorbed into the body and yields the therapeutic effect. To maximize the benefit, a daily supplement of I3C or DIM is recommended. This is true even if you take in a fair amount of cruciferous vegetables—you’d have to eat a couple pounds a day to get the 200mg of IC3 needed. In addition to DIM and IC3, there are common nutritional deficiencies which menopausal women should be aware of. The two most common are fiber and adequate protein. Menopausal women should have a diet that is greater than 60% plant-based and that includes soy, nuts, and seeds. Nuts and seeds are a great source of vitamin E and healthy fats. Fiber helps fight leaky gut and constipation and mops up toxins in your intestines. If it’s difficult for you to eat a highly plant-based diet, then consider supplementing with flaxseed, psyllium husk, or a fiber blend. Protein is another common deficiency I see in almost all menopausal women and in my female weight loss patients. Women should get a minimum of 20-25 grams of protein each meal for a total of 60 grams of protein daily. Healthy choices of protein include cold-water fish, salmon, tuna, grass-fed beef, and free-range chicken. For patients who can tolerate dairy, organic yogurt is also a good source of protein. Eggs, too, are a good source of protein and are high in choline. Finally, most menopausal women need a good multivitamin and B complex. Digestive enzyme and stomach acid deficiencies are common with age, and these cause vitamin and mineral deficiencies. Women should also supplement with calcium, magnesium, and a vitamin D that contains vitamin K. Calcium and magnesium supplements should be taken apart from multivitamins because large doses prevent absorption of other nutrients if take at the same time. Properly managed bio-identical hormone replacement, nutritional supplements, and a whole foods diet can serve as the foundation for a good heart, strong bones, and a clear brain. If you are in the Los Angeles or Beverly Hills area and interested in estrogen replacement therapy, book an appointment through my office.